Michelle Robinson''s daughter with their pet pig Delilah. 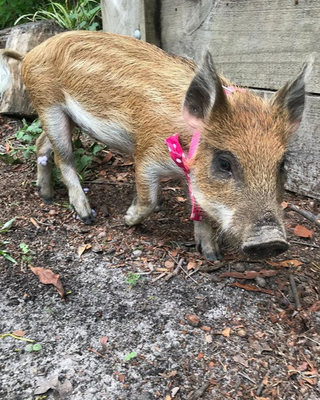 A miniature pet pig named Delilah was shot dead by Noosa Council on Thursday 14 March after walking off the family’s property and being mistaken as a feral. 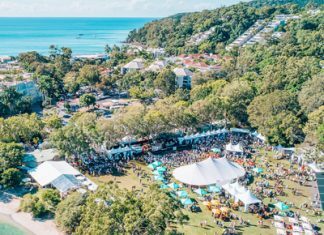 Noosa local and owner of the pet pig Michelle Robinson said the family is devastated and have spent days demanding more information from the Council. The miniature pig was wearing a collar, microchipped and had been de-sexed. 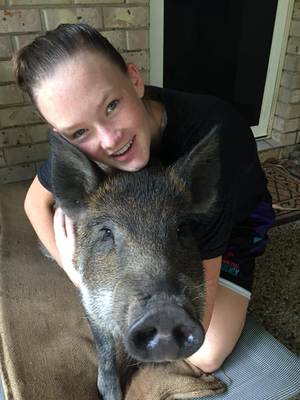 Michelle said that the family searched for Delilah on Thursday afternoon after discovering the pig had left the property through a gate that was accidentally left open. The family then proceeded to notify the council that their pig was missing, and after the council failed to confirm that a pig had been shot, the family continued to search for Delilah over the weekend. Michelle said they have approached the council for Delilah’s remains, but have been told the council has disposed of them. Noosa Council manager Phil Amson said officers shot a 70-kilogram pig from a distance on Thursday afternoon, after a landowner called council to report a feral pig was damaging a chicken pen. Mr Amson said the owners of the pet pig were cautioned and told they needed to contain the animal after it escaped a few days before it was shot.